Why didn’t anyone tell me that feeding my toddler could be so challenging? Ensuring that toddlers are getting a healthy balanced diet can be difficult. Toddlers are messy, picky eaters, and don’t sit still long enough to eat a balanced meal. They never seem hungry at meal times but can snack all day. What is a parent to do? Good news! Your child’s uncertainty about food is a sign that she is developing; she has developed enough to be wary of unfamiliar foods. Unfortunately, her skills have not yet developed to the point where she can share her concerns and feelings. Toddlers are learning that they are individuals and separate from their parents. 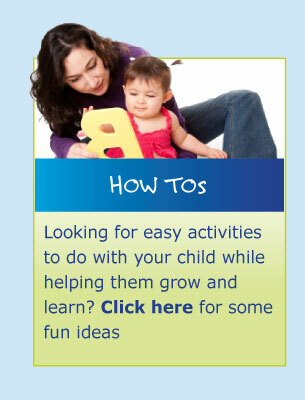 Testing limits helps toddlers develop independence, which is essential to their development. This is a great time to set limits without being too controlling. A sense of independence will benefit your child later in life. What you can do to make meal times more pleasant? Even though it’s hard some days, try to make meal times happy and fun. Engaging in a power struggle with your toddler about eating will make meal time miserable for everyone. As the parent, you are in charge of what you offer and when and where your child eats. Your child decides how much and whether or not to eat it. Let your child eat as much or as little healthy foods as she wants. 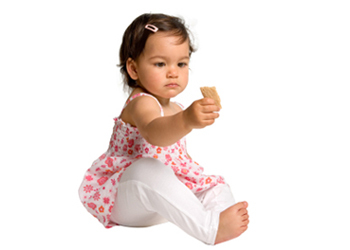 When provided with good choices, a typically developing toddler will not let herself starve. Avoiding powers struggles, while setting limits, lays the foundation for a lifetime of healthy eating habits. Let your child watch you eat an unfamiliar food. She may need to do this for many days before she tries it herself. When she does try something new, she may put it in her mouth and then take it out again many times before actually swallowing. Tasting is a first step; swallowing the food is a whole different story. She may mash the food and explore what is on her plate. Try not to get angry, this is her way of exploring something new. Offer new foods with something familiar; serving the food family style and letting each family member choose what they would like to eat. What your child eats at a particular meal is not as important as what she chooses over the course of several days. Try to eat with your toddler. Having three meals a day with a planned snack in between each meal will help your child be hungry, but not starving, at mealtime. Turn off the TV and keep distractions a minimum. 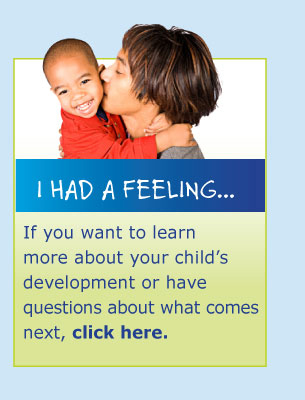 This is a great time to talk to your toddler and other family members.